On Tuesday, August 23 Google made a pretty big announcement about helping users easily access content on mobile by updating their mobile search ranking algorithm. 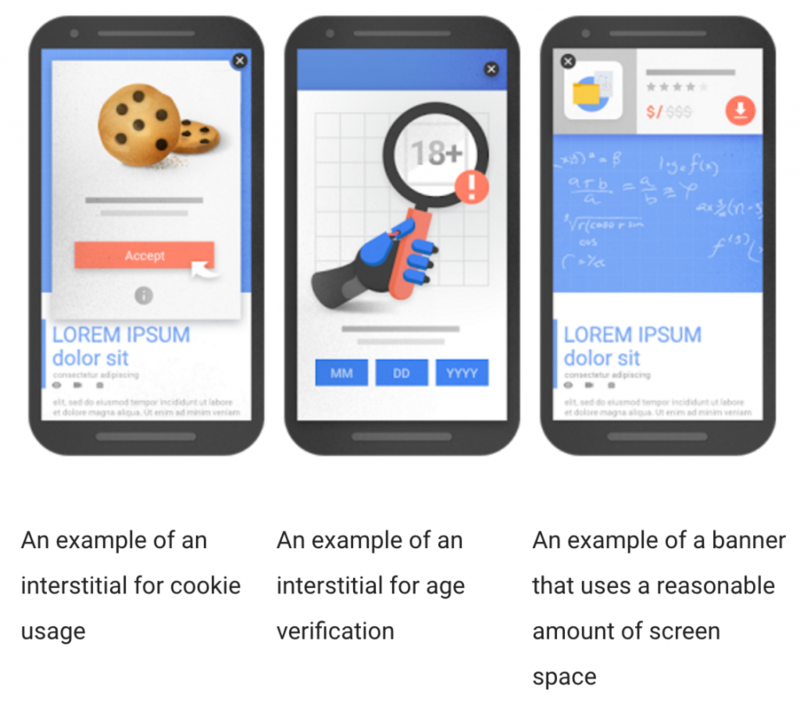 After mentioning a minor update about removing the label for mobile-friendly sites, the search giant shared their plan to remove some interstitial (popup) ads. Popup ads and interstitial banners are a somewhat controversial subject for publishers and advertisers. While click through and viewability rates for banner ads and conversion rates for calls-to-action like newsletter signups can be higher with popups, they can be very disruptive to user experience. One of Google’s main philosophies is that websites should be easy to use and navigate, which they have demonstrated through other algorithm updates in the past. Remember the “mobile apocalypse”? 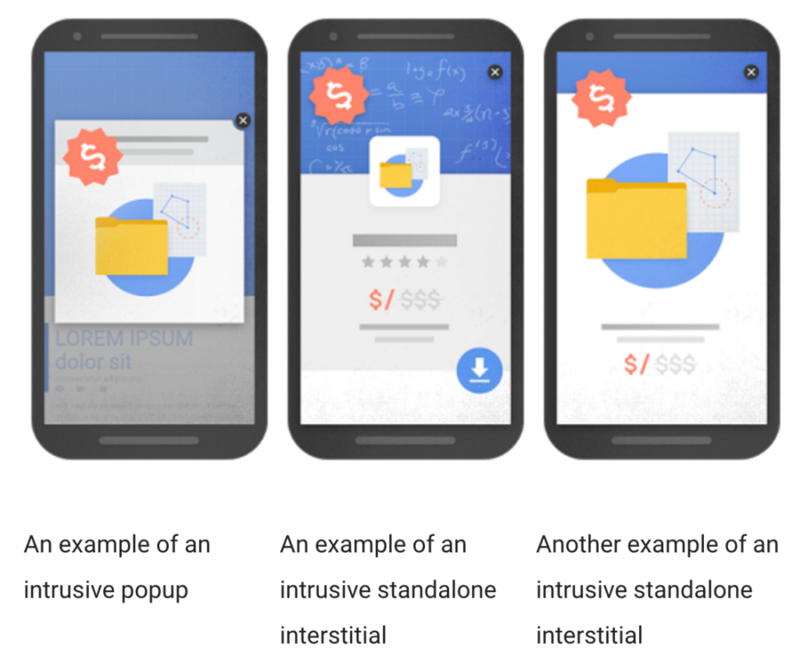 Not every style of popup will be met with penalization in the new Google mobile algorithm, just ones that affect the content on the page and the user’s ability to interact with content. - Popups that cover the main content either immediately after the user navigates to a page from the search results, or while they are looking through the page. - Standalone interstitials that the user has to dismiss before accessing the main content. - Layouts where the above-the-fold portion of the page looks like a standalone interstitial, but the original content has been inlined underneath the fold. Instead of these highly viewable (but soon-to-be-axed) popups, we recommend implementing OnScroll 100% viewable ad units in your site’s whitespace to maintain high viewability and high CPMs without sacrificing your search rankings. This new signal is only one of hundreds of signals that make up Google’s secret search ranking algorithm. As a best practice, always keep a watchful eye on the Google Webmasters blog so you aren’t in the dark when new signals are added.